Welcome to our Racor Incorporated Product Page! All these items are designed to attached directly to any solid wall surface and are not intended for use with slatwall systems. Are you the kind of person who won’t settle for anything but high style and superior workmanship? Then our Racor®-branded Home Storage Products are for you. Get the finest functionality for storage and access -- with durability, ease of use and installation, superior engineering and unsurpassed quality. 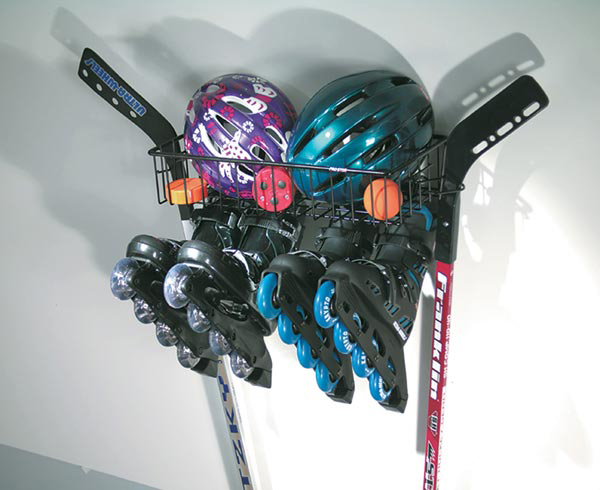 You’ll be proud of how your valuable gear is stored and displayed. Built with extra-heavy gauge materials and finished with a tough powder coating, products in the Racor line have been designed for lifetime use. Select from an amazing variety of organization and storage racks. You’ll visualize uses for Racor racks in your garage, laundry room, workout area, workshop, home office… just about everywhere! Click on any photo below for larger view and complete information.